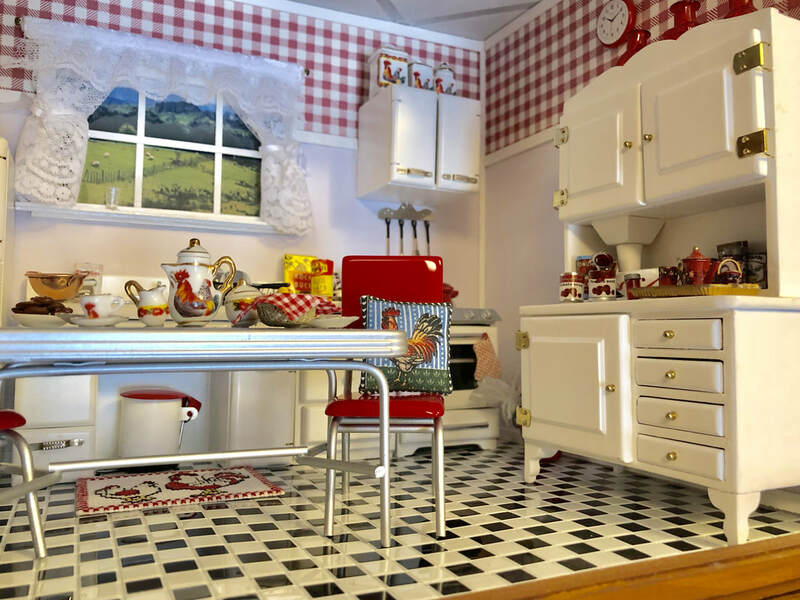 I don't know why I love kitchen roomboxes. 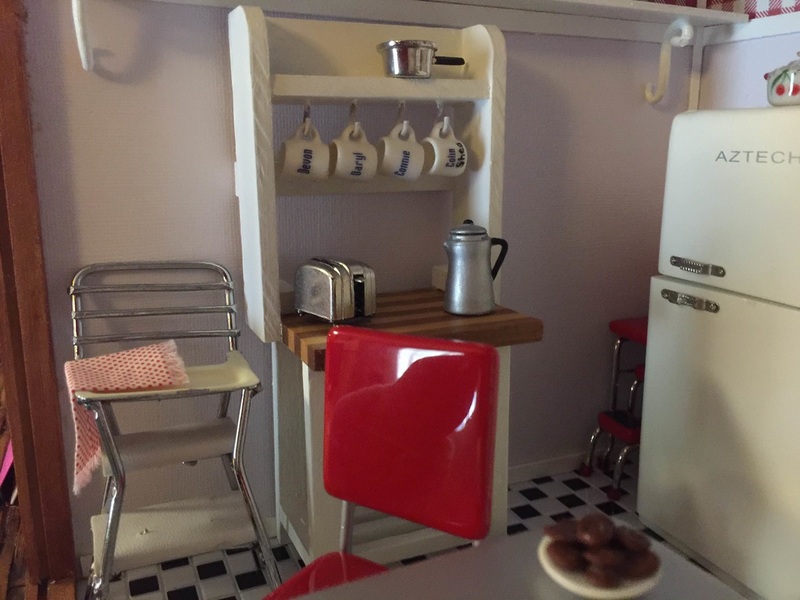 I certainly spend very little time in my real kitchen! 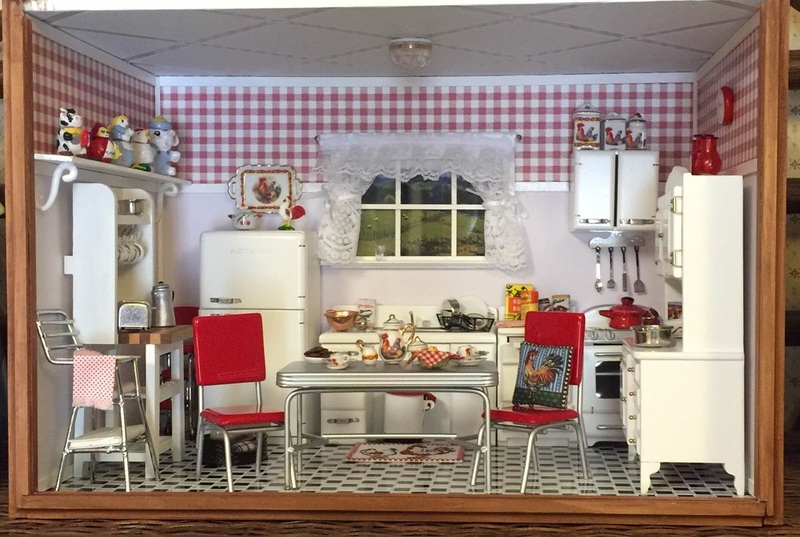 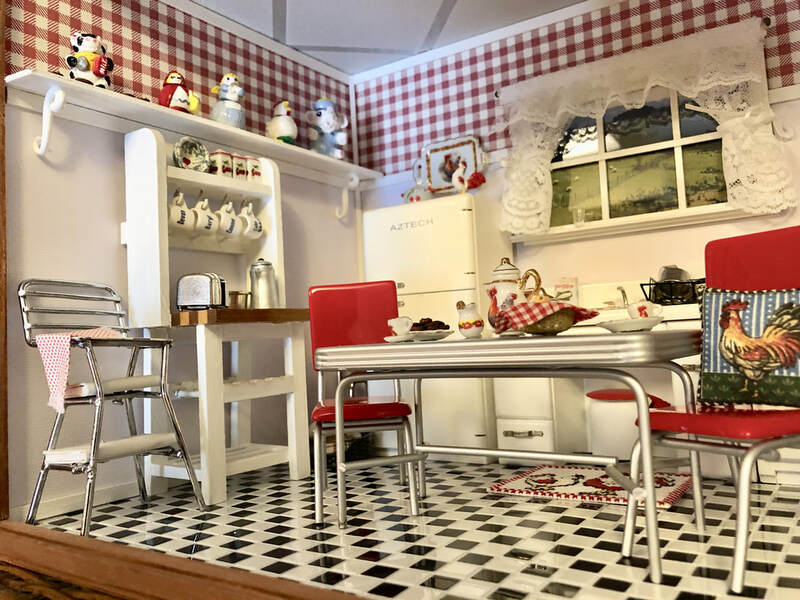 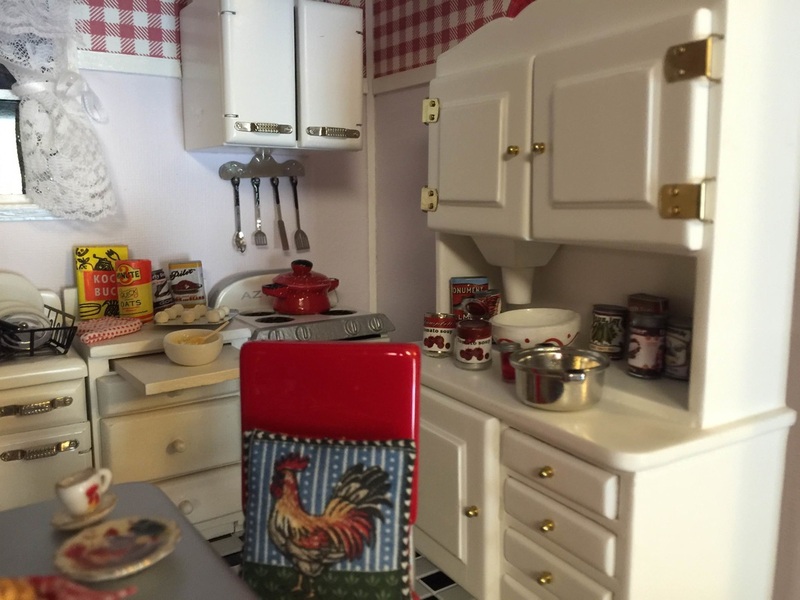 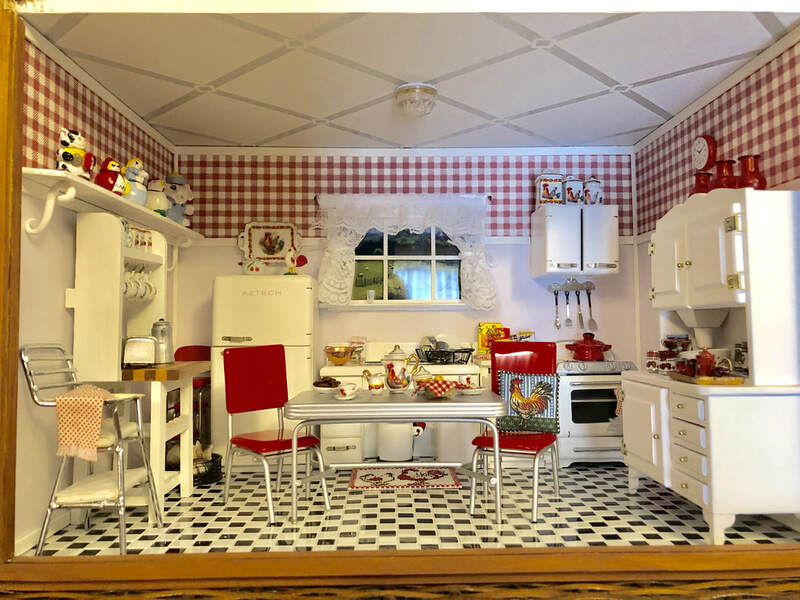 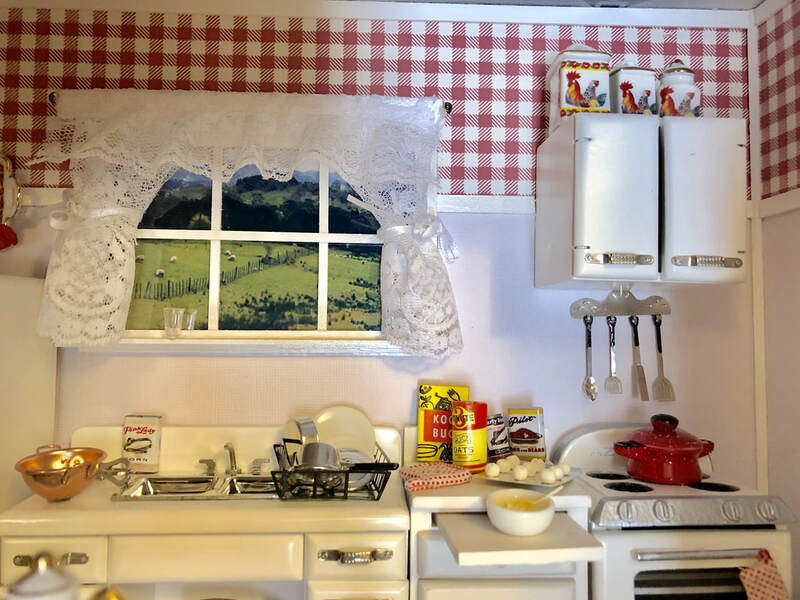 This kitchen represents one of my favorite periods, the 1950s and is done in my mother-in-laws favorite color, red. 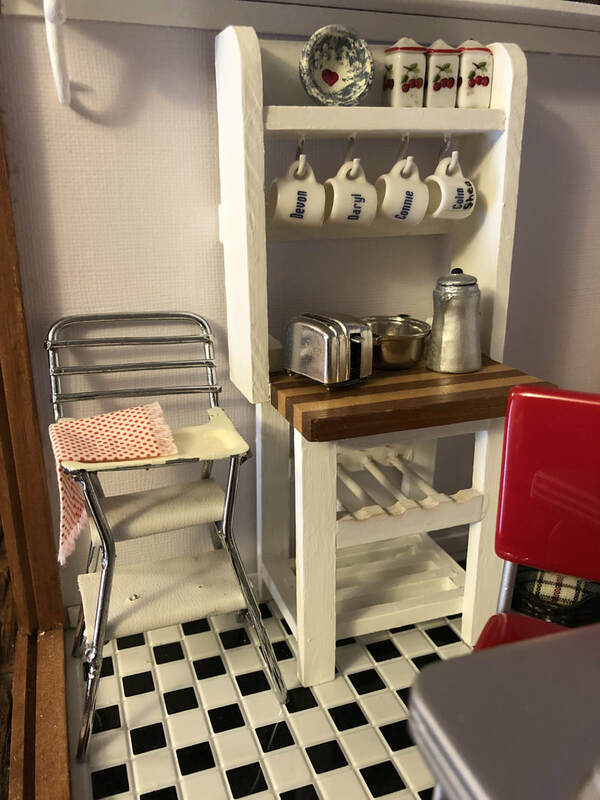 The high chair was a Christmas ornament I found in an antique shop. 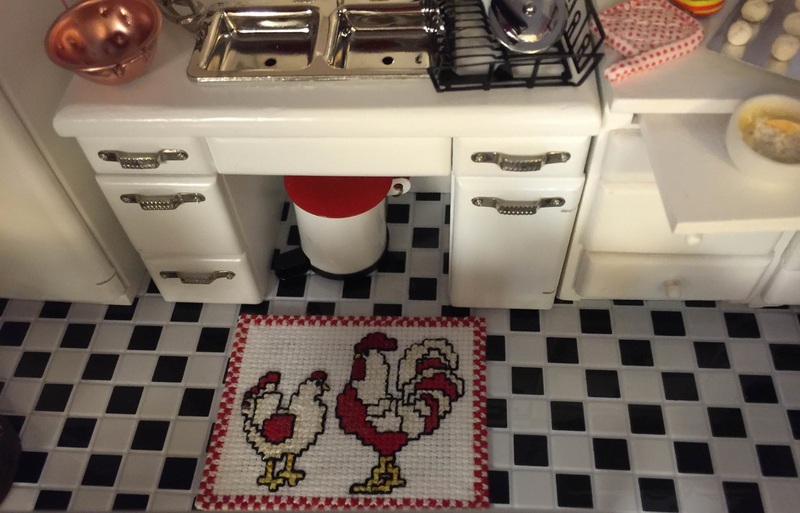 I made the cookie jars and the rooster rug.